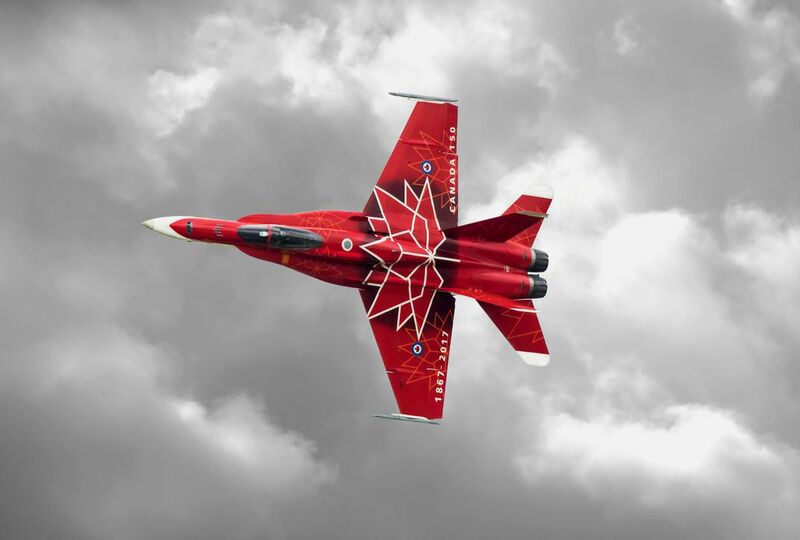 This is the special Canada 150 commemorative paint scheme on the CF-18 Hornet, flown by Captin Matthew "Glib" Kutryk at the Brantford airshow. This special paint scheme celebrates Canada's 150th anniversary of its confederation. Date Uploaded: Nov. 1, 2017, 10:42 p.m.